Please note this session of the Early Modern Forum will begin at the later time of 1pm. The Early Modern Discussion Group is delighted to have persuaded Dr Adrian Green (Durham University) to share insights arising from his co-authored study of Boynton Hall: The Social History and Historical Archaeology of a Yorkshire Country House (forthcoming). His paper, subtitled “Cultural change in a gentry house and landscape, c. 1450-1800” should have broad interest, drawing on his experience as a historian and archaeologist. Adrian Green lectures in History at Durham, and has long espoused interdisciplinary interests extending to both archaeology and architecture. He has a special interest in the role of architecture in social relations, and the relationship of architectural style to regional and national culture. 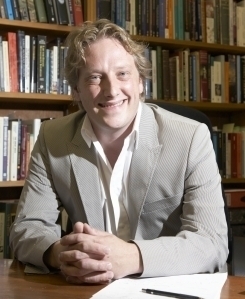 Adrian’s research focuses on England and English America in the sixteenth to eighteenth centuries. Educated in History at Jesus College Oxford, and in Archaeology at Durham, Adrian’s research and publications focus on housing in early modern England, ranging from the dwellings of the poor to bishop’s palaces and gentry landscapes. Adrian’s latest book, Dwelling in England: Houses, Society and the Market, 1550-1750 is nearing publication. He recently completed Building for England: John Cosin’s Architecture in Renaissance Durham and Cambridge (Durham Institute for Medieval and Early Modern Studies), and is providing a chapter on ‘Consumption and Material Culture’ for A Social History of England, 1500-1750, edited by Keith Wrightson (Cambridge University Press). Located close to the seaside town of Bridlington in East Yorkshire, Boynton Hall became the principal residence of the Strickland family from the late 16th century onward. The Grade I listed house was built in the 16th century and underwent major alterations in the early 18th century. Its grounds are also home to two Grade II listed buildings, with 160 acres of landscaped parkland (not open to the public). The Early Modern Forum provides a space for interdisciplinary discussion. With regular Thursday lunchtime sessions, it is coordinated jointly by the Centre for Early Modern Studies (SCEMS) and the postgraduate-run Early Modern Discussion Group (EMDG). It is free and sessions are open to all who wish to attend. This event is organised by the Early Modern Discussion Group, and is also part of the Early Modern Forum lunchtime series.